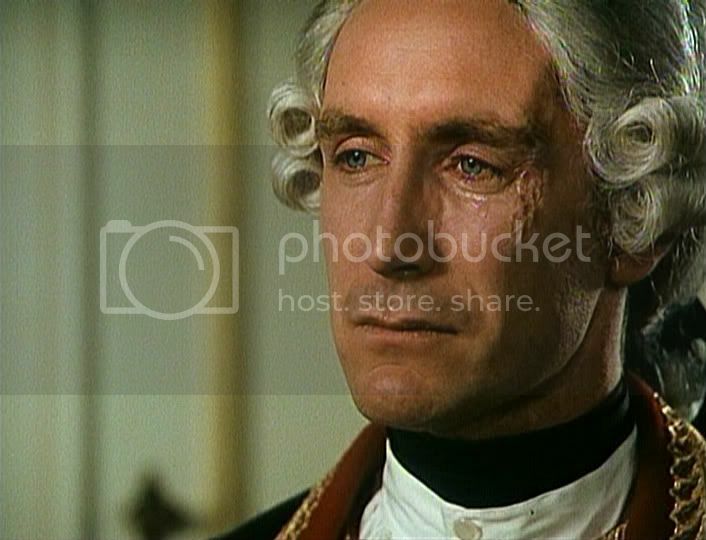 I just loved Potemkin...he was kind, gentle, and not to mention simply beautiful, and Paul did a fabulous job of portraying him. And those eyes.... sigh. That was the best part of him in this part. Pah on the uniform this time, he looked incredible in it, but I focused more on that wonderful face! Sigh, what girl wouldn't want to have a lover like that.... I think they purposefully put in the scenes with the other men (i.e. 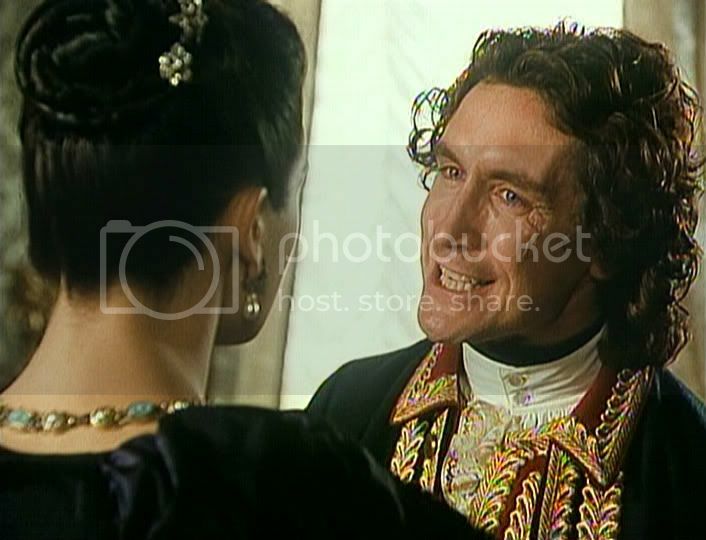 the other McGann...) to contrast to Potemkin's gentleness. Sigh. And um, ladies -- curls!!!! I love a man who isn't afraid to cry...and here he did it, what twice? And the way those tears glaze over those eyes... Wibble. Gack! Bedroom eyes! Can you get any sexier? That smile...Oh, that smile! I loved the way the scar by his left eye crinkled up when he smiled. The long elegant hands...Featured quite nicely in this role... this scene was one for the pause and rewind buttons. There they are again! Those hands! 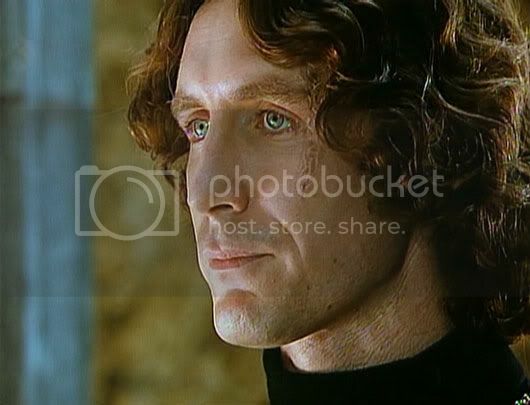 Plus eyes, plus curlz....thud. Another scene giving the remote a workout. Sensitive...a Man of God at heart. I loved that side to this character. Yet he's fierce in an argument. I'd hate to get on his bad side! Look at that fire! 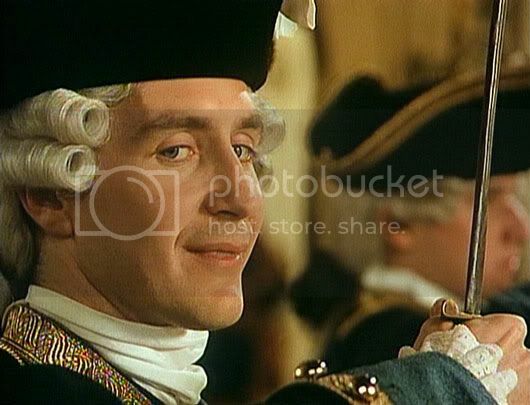 Wonder if that's what Paul looks like when he's brassed off... Oh, did I forget to mention the curls???? Gahhhh I must gush, too if I see those pics! 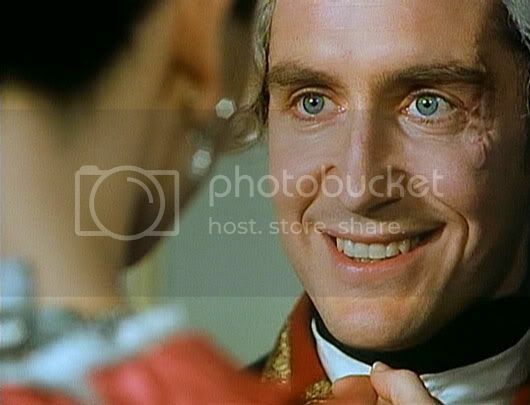 I saw him first in CTG, too and was obsessed with that face, his expression and his way to act! There is no acting like Paul acting! LOL!! Take it easy my dear, we don't want you to die. So glad I'm not alone in the dying, Akka! Those curls kill me dead every single time. I haven't seen CTG yet, but it's with all the others at the top of my Netflix queue, because after seeing these pics, it's become a priority!! I don't know what NF will deign to send me today, though, but as I have stacked the queue in my favor, I'm sure I'll get something good! Just watched it with a friend who spent the first 45 minutes wondering why we were watching this movie. You guys didn't warn me that I'd be waiting that long!